This property is 4 minutes walk from the beach. 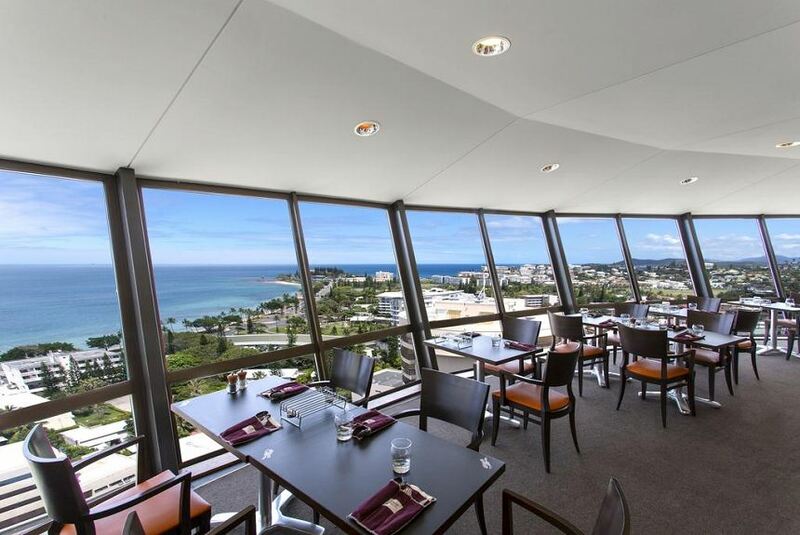 Just 200 m from the beach, Ramada Hotel and Suites Noumea features a palm-fringed swimming pool and a revolving restaurant with panoramic views. There is a golf driving range directly opposite the hotel. Guests enjoy up to 250MB of free WiFi per day. Each spacious room has a private balcony, work desk and a seating area with flat-screen satellite TV. Most rooms include kitchen and laundry facilities. The bathrooms feature either a bathtub or a shower. Guests can dine at the steakhouse restaurant l'Entrecote au 360, or at the poolside bar, The Rendezvous Sports Bar, which serves fresh local specialities and French-influenced cuisine. You can start you day with a tasty breakfast, including French pastries, baguettes, butter and jam, as well as juice, tea and coffee.You can also order a dish from the snack menu or enjoy a cocktail next to the swimming pool.